​Founded in 1954 by Joe Seidner and George Brady, the business was built on integrity and caring expertise. It is now run by the second generation with the same family values. We pride ourselves in finding cost-effective solutions to your plumbing/heating issues. For over 63 years Brady & Seidner has provided the highest quality service to customers within the Greater Toronto Area. Our divisions include: service, building maintenance, building re-pipe, boiler retrofit, mechanical contracting and provide the following services: plumbing, heating, HVAC, controls, and drain work and KITEC Pipe replacement. ​Our longstanding involvement in high-rise construction and service allows us to take a unique look at building issues. By working closely with both property managers and engineers our goal is to bring continued added value to our clients in the form of better working systems, efficiency, and longer lasting installations. ​If your building is over 15 years old, chances are you will need to replace your piping in the next few years. Any plumber can install copper pipe, only an experienced company has the knowledge and skill to replace pipe in a finished building occupied by residents. The core of our company lies in the strength of our service division. Our years of knowledge and our customer comes first attitude has made us one of the leading companies in the industry. Whether it be a condominium building, a rental building or a commercial facility, keeping your plant running smoothly requires ongoing regular maintenance. Over the years we have carried out countless mechanical retrofits, whether it be one unit or an entire plant, we can provide you a turnkey operation. ​We are here to help owners minimize the cost and the difficulty of keeping pace with the burden of new regulation requiring both Back Flow systems and Mixing Valves installed in older buildings. We make the installation process simple, and we do the job right so that no additional costs will surface further down the road. Additionally we also test and repair these devices. 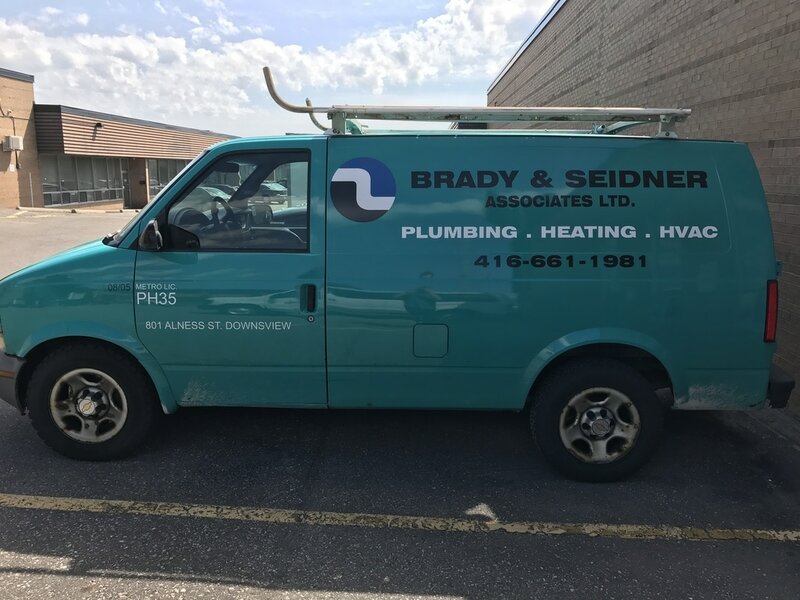 For over 64 years Brady & Seidner has provided the highest quality service to customers within the Greater Toronto Area. We pride ourselves on finding solutions that work in the long run and building rewarding and lasting relationships with our clients. We do this by being honest with our customers and only provide the work that needs to be done at fair prices. Overcharging and early replacement of equipment do not win us returning business and do not fit in with our business model. With over 63 years in the business, we can handle the most complex challenges in the industry. A cheap job always ends up being more expensive in the long run. We pride ourselves on solutions that work and that save customer's time and money. We build relationships with long term customers by charging prices that are fair and saving customers money whenever possible. We are knowledgeable, skilled and we care about our clients. "...a job extremely well done, we were impressed with the consideration and explanation given to all our residents. You stated that the work required would be completed in a timely manner and you kept your word and finished ​on time, on all three phases!" "...the entire experience working with your company from the tendering stage to the final work was excellent. Your men displayed great understanding and respect to our members that were directly and indirectly affected by the work involved." "...a job well done in the replacement of DHW/DCW risers and valves, your team of plumbers was well trained and carried out said project in a professional manner." Better for over 64 years.